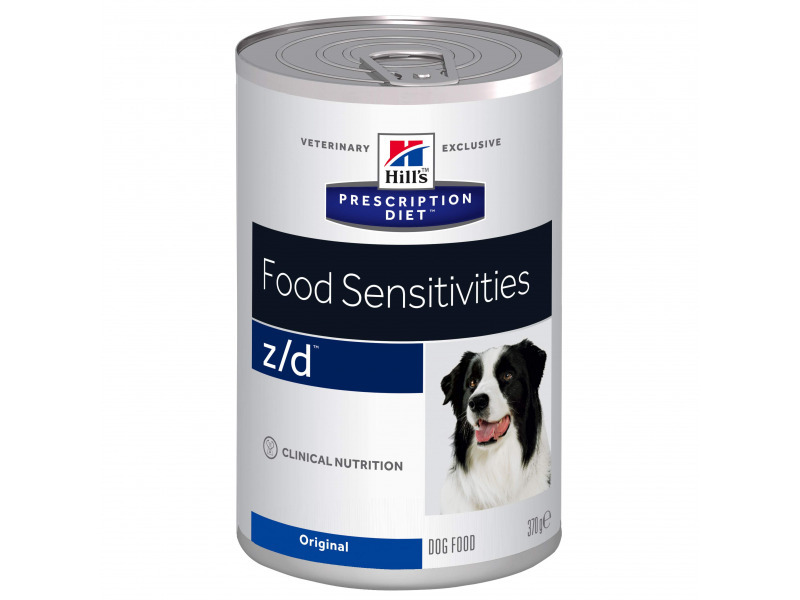 Hill's Prescription Diet Canine z/d is a unique combination feed, developed to aid dogs with numerous food allergies and intolerances, which can often lead to the onset of further health conditions such as digestive difficulties. 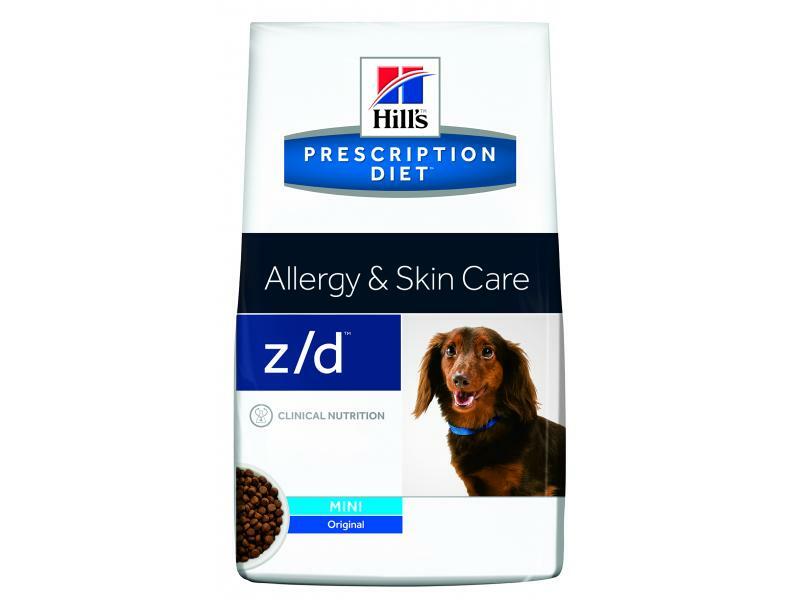 Allergies and intolerances are typically an adverse response to food proteins, and Hill's Prescription Diet z/d has been specially formulated to counter-act these proteins and lower the risk of allergies arising from beef, wheat and dairy products. These ranges are a starting point only, because dogs' needs vary. Adjust the feeding amount to maintain the optimal body weight. A 156g can of z/d ULTRA Allergen-Free Canine canned is equal to 40 grams of z/d Low Allergen Canine dry and a 370g can of z/d ULTRA Allergen-Free Canine canned is equal to 95 grams. 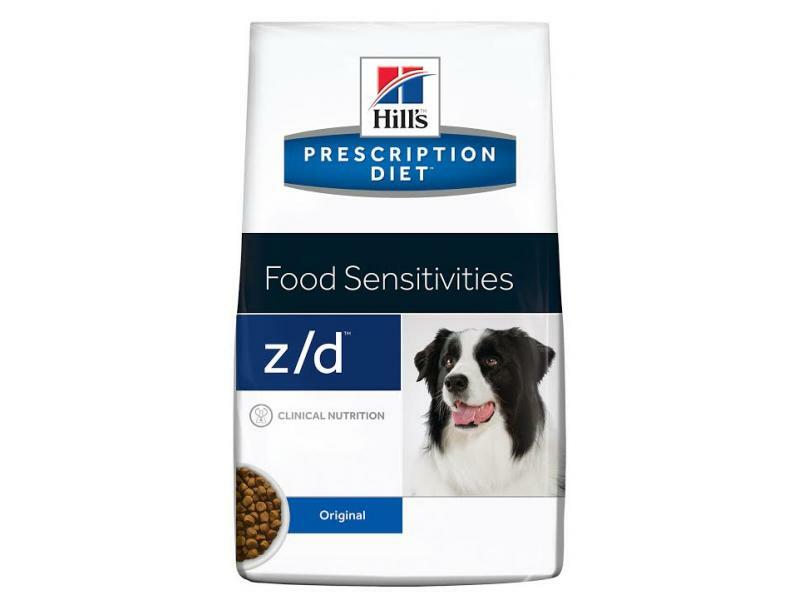 Below are some recent questions we've received regarding Hill's Prescription Diet z/d Food Sensitivities Dog Food, including answers from our team. This is suspicious and it might rule out a food allergy, but it is too early to say. Some dogs do need more than 3 weeks to show a full response. Also some dogs will pinch a small amount of food (bread, biscuit etc) and if they happen to have a wheat allergy, or some other constituent of what they ate, they will react again. I would certainly suggest that you give the diet more time, but you are right and it might prove that this is not purely a dietary allergy. It is a bit too early to be sure about that. My dog is allergic to potatoes corn wheat and rice has severe skin. Allergies tothese myvet has put him on hills zd he loves it.but notice this has potatoes in. Please can you tell me if the 156g tins are permanently discontinued? Yes, Hills have discontinued the 24 x 156g cans and replaced them with the 12 x 370g cans.